Shopify, the complete eCommerce solution that allows you to create professional eCommerce store online. We also develop pre-made, responsive, elegant and fast loading Shopify website templates and modules. Customers can purchase and they can customize them as per their business requirements. Our Shopify design experts and developers follow the standards and best practices set by Shopify while developing Shopify themes. Our team has worked on almost 100+ Shopify websites of different industries and also on some of the Shopify custom modules and payment integrations. We have set a good record on providing effective Shopify development solutions. We are sure that our Shopify development team will give you 110% satisfaction. And also our marketing team will keep you updated on every phase of work flow. 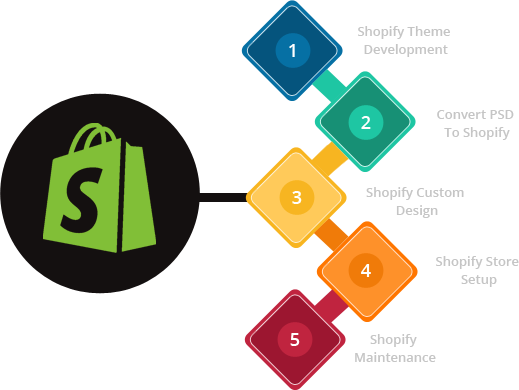 If you are looking for Shopify eCommerce development services, ShareSoft Technology is the right place.